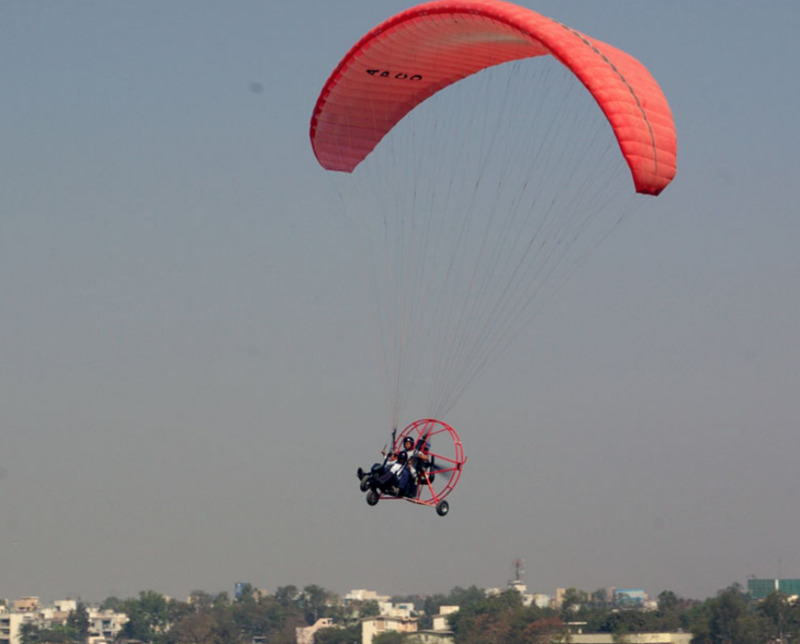 Paramotoring is basically a combination of flying with an autonomous setting of a motor. This innovative setup helps you soar the heights that you never thought you could reach. The view beneath you will take your breath away. Parasailing is the best thing to experience during your adventure travel. Developed on the concept of back to roots, this resort established in Gurugram has made its name in the entertainment industry when it comes to outdoor adventure. People find this place happening and relaxing because of the picturesque setting with serene landscape and scenery around. With a diverse range of flora and fauna all around, this is a beautiful place to spend for a weekend getaway near Gurugram and relax your mind. You will enjoy the chirping of birds and the feel of nature amidst the green woods and endless field. Awarded with ‘The Best Eco-Friendly Design’ by the ‘Inside Outside’ magazine for the traditional type of setting with thatch cottages, mud houses, solar lighting and other sustainable models, best for adventure sports. This is one of the top Adventure travel destinations recognised by India Today’s “Travel Plus” magazine. An adventure trip to Fly India is a must if you wish to experience something new. The food here is also delicious with all ingredients grown in the kitchen garden of the resort. The nutritional value of the servings is also taken care of. The equipment and gear are provided by the resort. All the outdoor adventure here is tried and tested to ensure the customers’ safety. World class motors are used for this adventure sport that make your ride efficient and safe. The switching on and off motor cannot take place while flying thus there’s no risk of crashing. The apparatus is checked before every ride. The best time of the year for your weekend getaway near Gurgaon is summer when an adventure trip to this resort will be most pleasant. The clear skies will give you the most beautiful bird’s eye view which will make all your stress go away. You will enjoy this outdoor adventure when the wind will strike your face while you’re sailing in the sky. The adrenaline rush of being in the air will awaken your soul. This resort is situated in Sohna, Gurugram which is easily accessible. The nearest metro station to this place is Huda City Centre. You can easily find a cab from the station to this resort. This place will make your weekend getaway near Gurgaon worth it. You’ll receive the confirmation regarding your booking within 24 hours. No fuss or delays are assured to every customer. To experience the very best adventure trip of your life and participate in this exciting adventure sport, book your adventure travel with us today to have a stress-free outing with your loved ones! You’ll experience this divine calmness of the skies high in the air waving with the wind. This will leave a long-lasting impression on your mind. You don’t want to miss out on the best.